Nobody really knows how middle names came to be – but it probably came from the aristocrats. They had lots of names, because of course, if you were related to someone famous, you wanted to highlight it. Also, when women got married, their maiden name turned into her middle name after marriage, and sometimes a middle name was added to distinguish a child from some other relative with the same name. Through the ages, any potential subtle meaning was lost in the haze of the years, and now, we are left with middle names, without really knowing why we use them. They may be more prevalent in some cultures than others, they may simply be a compromise when the mom and the dad can’t agree on the name, whatever, we sometimes have them. 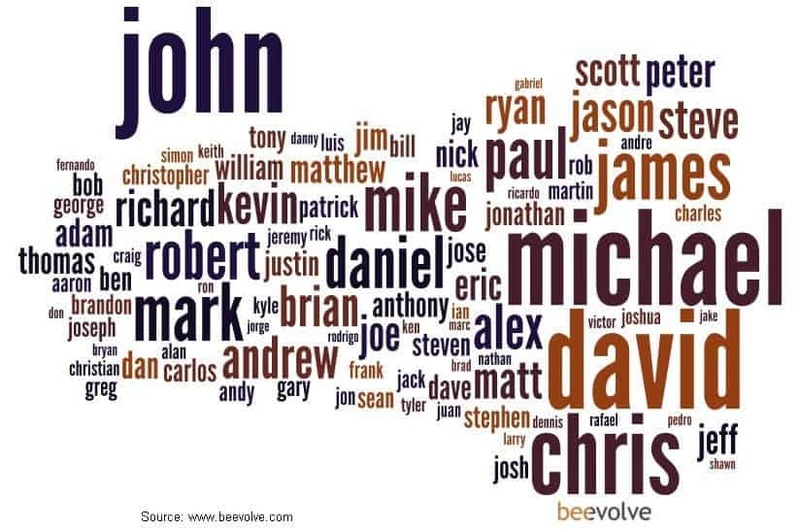 But we don’t use them that much – when people are asked about their names, they usually mention their first and last name alone. But, as researchers showed, adding the extra initial initial, at least when identifying yourself in writing, makes you seem smarter. In order to test their theory, they first presented 48 university students (12 men and 36 women) with four organizations associated with intellectual performance (e.g., the International Research Council) and four organizations not associated with intellect (e.g., the Karaoke Club). Students were asked whether a person named “David F. P. R. Mitchell” would use his initials when signing up for the groups, and the results showed that in the students’ perception, the middle initials were more strongly associated with the more intellectual groups. In another study, participants read a piece of writing by an author whose name was displayed with varying numbers of middle initials (from zero to four). The results showed no major difference between the names with 1, 2, or 3 initials, but showed a clear difference between names with 0 and 1 or more initials – they were rated higher by a full point, on average – quite a big difference. The researchers concluded that a Jane F. P. R. Smith would be “expected to have a higher intellectual capacity and performance, be more admired, respected, and earn more” than your average Jane Smith, as perceived by others.